Effective communication is important to employees, managers, senior leaders, and other stakeholders. These seven best practices can help increase open, honest, and effective two-way communication throughout the organization. Communication is a powerful tool that can have an enormous impact on the success of any organization. Effective communication can increase employee engagement, boost workplace productivity, and drive business growth. Communication is the cornerstone of an engaged workforce. A company’s workforce represents its most significant investment and ultimately determines the success or failure of the organization. Engaged employees are far more likely to demonstrate the dedication and commitment that are essential to the long-term growth of any company, large or small. One of the most difficult challenges for any organisation today is to find ways to effectively speak to its employees. Strategic internal communications plan: A clear and strategic internal communication strategy is the lifeblood of any company and the engine that drives employee engagement. Consistent two-way communication across all levels of the enterprise: Establishing a two-way flow of information fluidly and consistently carries information from the top to the bottom and then moves feedback from the bottom back up to the top. This reduces ambiguity of messages, eliminates inaccuracies that are inherent to the corporate grapevine. Frequency: Make sure that communications are relevant and targeted to avoid unnecessarily contributing to information overload. Engaging messages: While the core message should be consistent at every level, tailoring messaging and delivery to the appropriate audience is critical to accessibility and understanding. Robust communication channels: By offering employees a choice in how they access information, it creates a sense of empowerment and respect that immediately makes communications more engaging. Eliminate fear of repercussion: It’s important for managers to establish a safe place where employees can voice their opinions without fear of how their honesty will affect their position. Measure, measure, measure: Assess the success of an internal communication program during regular performance evaluations or through employee-satisfaction surveys. 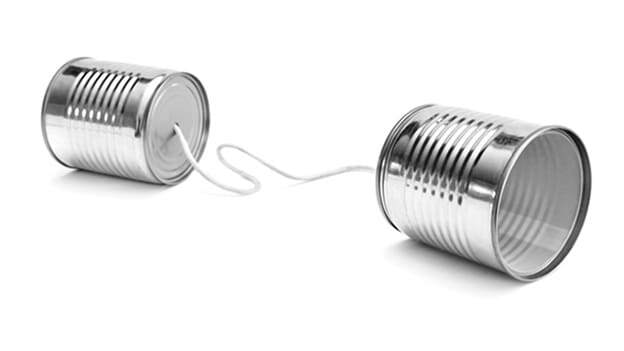 Are employees receiving communications too frequently or not often enough? Do they feel like leadership hears and values their opinions? Employee retention is increasingly influenced by communicating effectively between leaders/managers and employees. Specifically, communicating strategies about career development and management can be essential to retaining an existing work force, and engaging employees to perform at their peak ability. Research shows that keeping employees informed with personal, relevant, and engaging communication gives companies a competitive edge and has direct results on the bottom line. According to a series of studies by Watson Wyatt Worldwide (2008, 2009, 2010), engaged employees are twice as likely to be top performers, miss 20% fewer days of work than their less engaged counterparts, are more supportive of organizational change, and have lower turnover rates. Effective communication was found to be a key driver for employee engagement and an indicator of financial performance. The return on investment (ROI) for engagement includes an increase in staff satisfaction which leads to an increase in productivity. Less than half of organizations (49 percent) report being effective at communicating and providing traditional career advancement opportunities. (2014 Global Talent Management and Rewards Study, Towers Watson). When neither leaders nor managers are perceived to be effective in communicating and driving engagement, only 8 percent of employees report being highly engaged. Conversely, in companies where both managers and leaders demonstrate effective engagement strategies, 72 percent of employees are highly engaged. Companies that work toward establishing leaders and managers who are effective communicators for driving engagement can expect to have more highly engaged employees, with higher job retention rates as well as attraction of new employees. (2014 Global Workforce Study – Towers Watson). Boosting employee engagement is often at the forefront of HR and management initiatives, which often leads to countless surveys, meetings, reward schemes and other new programmes. But the simplest way to increase engagement is sometimes overlooked – it starts with the day-to-day communication. So how does an organisation ensure that the messages they want to get across are communicated effectively and that it does in fact help to improve employee engagement? Line managers can be significant contributors to improving employee engagement. Coaching and training to increase levels of self-awareness are vital ingredients of their personal development journey. Once each line manager in an organisation fully understands themselves, they are better able to identify the similarities and differences with others which helps them connect with those people on an individual basis. Since these are the managers that have the most day-to-day interaction with your people, they should be the focus of your leadership development in the area of communicating to increase engagement. Keep in mind that the most effective communication will be that one-to-one time where discussions are open. It’s during those moments that relationships are built and strengthened, where some of the most creative ideas can be sparked and where the strongest connections are made. These discussions are made more difficult when people are working remotely or when everyone just seems ‘too busy’ to have a chat. So use technology for an advantage. Creating an intranet that mirrors social media sites like Facebook opens the floodgates of communication in a way that people are used to using on a daily basis in their personal lives. Dr Ritika Srivastava is the freelance writer with People Matters.